Well, the summer is certainly upon us and whether the sun arrives or not, we’re sure some of you are off jetsetting. Here at EcoHip we thought we’d give you some friendly advice on how to keep skin well protected, well exfoliated and healthy looking – and all with organic and natural products too! EcoHip eco products are the ideal choice for those of you that wish to keep skin healthy looking and protect the planet at the same time. We love being green and so will you after you have heard our handy hints on how to get a healthy glow this summer. As always, stay away from nasty toxins and chemicals that lurk within high street branded products. There is no need when we have such a fine array available to you at the click of a button. Top tip number one – exfoliate. If and when the sun decides to play, whether we like it or not, dirt and sweat will stick to our bodies. Each morning, we recommend that you use an exfoliating brush or sponge to remove dead skin and dirt from the top layer of skin. Using a natural body lotion like Pycnogenol Skin Lotion will remove dead skin and keep skin free from chemicals naturally and organically. Use natural skincare products for toners and moisturisers to nourish your skin at a time when the ground tends to be drier. We recommend lavender, bergamot and geranium as they are naturally relaxing and encourage bloody circulation. One of our favourite summertime treats is the Variosun Sun Tan Lotion. No longer will you need to take bottle after bottle of sun tan lotion on holiday with you. The Variosun incorporates all your lotions into one for an easy to use, easy to carry sun tan lotion combination. Simply use the dial to mix factors 2 through to 24 for your desired factor and when you need a new one, simply replace the cartridges – an eco friendly delight! Click here to find out more. When it’s hot and sunny, we all know how dehydrated we can get. Don’t worry we have got something for that too! 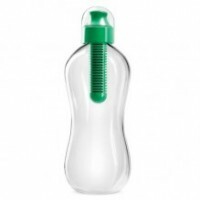 The EcoHip Bobble bottle is a revolutionary and stylish bottle which filters tap water as you drink. No need to buy packaged water anymore. Simply buy a Bobble for £10.99, another great eco product purchase for helping the planet! Happy Holidays everyone! Enjoy the sun but stay safe and maintain a healthy glow with natural and organic products from EcoHip. Visit EcoHip.co.uk for more information on all the products mentioned in this post.